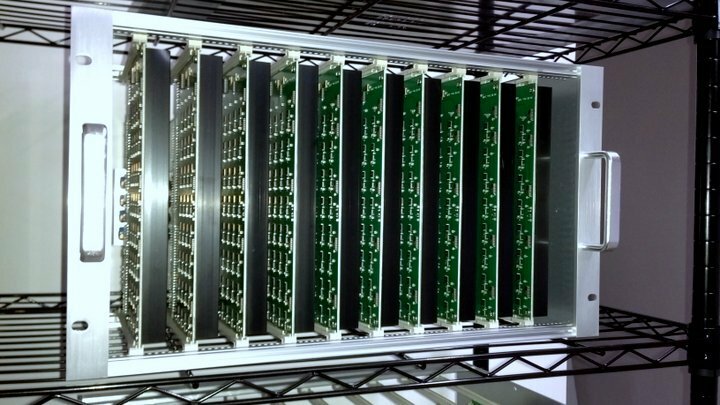 Today, ASICMiner, one of the three major developers of ASIC (application-specific integrated circuit)-based Bitcoin mining hardware, has announced that they have turned on their chips, and are outputting 1.7 TH/s of hashing power in a testing run. The event makes them the second company after Avalon to have working ASIC hardware, leaving the last remaining competitor, Butterfly Labs, behind. The 1.7 TH/s testing run represents only a small portion of the company’s full hashing power; ASICMiner has reported that their full first batch will have over 12 TH/s of hashing power, or slightly over half that shipped by Avalon, and intends to start the remaining batch running very soon; “the real update will be given in a few hours,” ASICMiner reports. ASICMiner differs from its two competitors in one key way: it is not actually selling any mining rigs to consumers. Rather, the company is keeping all of its hardware in house, and financed its development through 2012 by issuing company shares. The shares were originally released in August on the (now-defunct) Global Bitcoin Stock Exchange, opening up 7.5% of the company’s future profits to investors at a valuation of 40,000 BTC for the entire company. The offering was a success, selling out within days. The setup proved to be problematic when the GLBSE unexpectedly shut down, causing the company to lose contact with many of its investors, but the company finally received the shareholder database from the GLBSE in December, and shares will once again start trading and paying dividends on a yet-unspecified alternate platform soon. Network hash power is currently at around 25 TH/s, suggesting that many Avalon customers still have not received their rigs. Once most of Avalon’s customers turn their hardware on and ASICMiner starts hashing, network hash power is expected to increase to about 40-50 TH/s – with some old GPU miners dropping out because of the increased difficulty. February is proving to be a great month for Bitcoin miners so far; the sudden rise in price has allowed Jeff Garzik’s Avalon machine to pay for itself in nine days, and ensured that miners’ operating margins are now higher than they were before the mining reward drop in December. Butterfly Labs reports that their chips have been delivered to the bumping facility, suggesting that while they are not shipping just yet production is finally nearing completion; unfortunately, in a market where timing is everything, their customers will not be able to benefit from the same window of opportunity that Avalon and ASICMiner have. However, some Butterfly Labs consumers will be able to enjoy a 10-25% discount from their next purchase if they ordered early. Meanwhile, Avalon and ASICMiner are already working on second batches, with ASICMiner reporting that their next batch, which is “ordered and being produced in the fab already,” [will be 50 TH/s](https://bitcointalk.org/index.php?topic=99497.msg1529563#msg1529563). Although the ASIC mining market is unfolding much more slowly than many of us had predicted, it looks like the next two months will be the time that the new machines finally start to come online en masse.